As the clang of a bell echoed down the corridors of a decaying Texas arena, two men interlocked fists and battled for physical supremacy. The crowd roared with taunts and jeers, scantily-clad cheerleaders bounced in place with plasticine grins, and hulky, shirtless men with handlebar mustaches barked commands from the corners of the ring. It was utter chaos, utter cheesiness -- everything one could hope for in a professional wrestling match. Instead of deciding the matter with litigation, Herwald had challenged Kelleher to a good old fashioned arm wrestling duel; the winner, it had been decided, would claim ownership of the slogan. The CEOs’ 1992 battle was perhaps the most unconventional way a major corporation has ever settled a legal dispute -- but it taught us something more: sometimes it pays to conduct business with a sense of humor. In 1968, Texas businessman Rollin King and his lawyer, Herb Kelleher, formulated a plan to create the world’s weirdest airline. At the time, the industry was controlled by federal interstate commerce regulations (a flight between San Francisco and New York, for example, would cost the exact same price regardless of the carrier). King and Kelleher’s thought: why not avoid these regulations by operating an airline that solely flies passengers between cities within the same state? Though other Texas carriers battled for nearly three years to keep them out of business, the two men prevailed: In 1971, Southwest Airlines began scheduled flights at much cheaper than market rate. Over the years, the airline also utilized a number of “humorous” slogans to entice customers, including "Love Is Still Our Field", "The Somebody Else Up There Who Loves You", and "Grab your bag, It's On!" In October 1990, the company’s marketing team came up with what they deemed to be their best catchphrase yet: “Just Plane Smart.” For 15 months, it was generously employed in commercials, and on posters and t-shirts. Then, abruptly, the party ended. Unbeknownst to Southwest Airlines, a tiny South Carolina aircraft sales company named Stevens Aviation had claimed “Just Plane Smart” as a motto years earlier. When Stevens’ legal team found out about this, they encouraged then-CEO Kurt Herwald to sue. 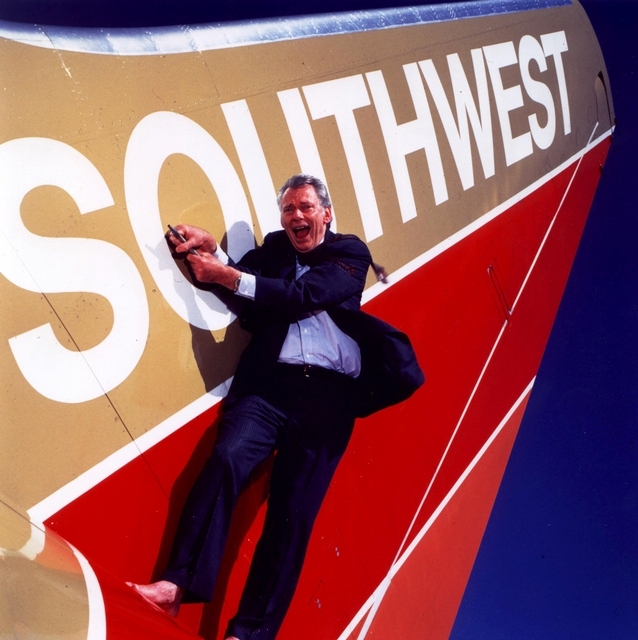 But Herwald, who secretly revered Southwest CEO Herb Kelleher, had another plan -- one that wouldn’t waste hundreds of thousands of dollars in legal fees. With that, a date was set -- March 20, 1992 -- and the two men hunkered down to train. Herwald, a full 28 years younger than the 61-year-old Kelleher, clearly had the upper hand, but he refused to rely on his youth. A series of inter-company promotional videos show him running through the full gamut of bodybuilding exercises: curls, deadlifts, bench presses -- often lifting tremendous amounts of weight and profusely sweating. A self-described “true Texan,” the only pulls Herb Kelleher engaged in came out of a bottle of Wild Turkey whiskey. With a cigarette perennially perched between his lips, Southwest’s chief wasn’t interested in the physical rigors of armwrestling training: he’d defeat Herwald with old-school brute strength -- the type possessed by a Texan farmhand. On March 20, 1992, 4,500 attendees (mostly employees of the two companies) packed into the decaying Dallas Sportatorium -- an arena once used to house professional wrestling events. Dubbed “Malice in Dallas,” the CEOs’ duel had been heavily marketed, and every news crew in Texas converged to document the results. As “fans” anxiously awaited the 9 AM start time, the showdown’s terms were announced: it would be a “best of three rounds” competition, with the loser of each round donating $5,000 to the charity of his opponent’s choice (Southwest chose the Muscular Dystrophy Association, and Stevens chose the Ronald McDonald House of Cleveland). The winner would claim sole ownership of the “Just Plane Smart” slogan. Kelleher, a natural weirdo, revelled in the absurdity of the event. Clad in a bathrobe and flanked by a dozen pom-pomming cheerleaders, he emerged from his multi-colored bus to great fanfare. As the match was on Texas turf, he was heavily favored by the crowd: in the weeks leading up to the event, he’d been “gifted” various items from the community -- Wheaties, spinach, Wild Turkey whiskey, and even “anabolic steroids from Mexico” (needless to say, these were not employed). As "Smokin" Herb Kelleher made his grand entrance to the theme song from Rocky, Kurt "Killer" Herwald sprinted down the aisle in his red satin robe, greeted by boos and chants of disapproval. After both had settled in the ring, a bell sounded and the competition commenced. Instantly, Kelleher announced that he’d injured his arm on the way to the arena whilst “saving a small child.” In his place, Texas’ 1986 arm wrestling champion, J.R. Jones, battled the first round. Herwald was swiftly defeated. Round two was equally staged. This time, Herwald issued a replacement -- his employee, “Killer” Annette Coats. She “crushed” Kelleher, evening the match at one win apiece. The rights to the the “Just Plane Smart” motto would come down to the final match. 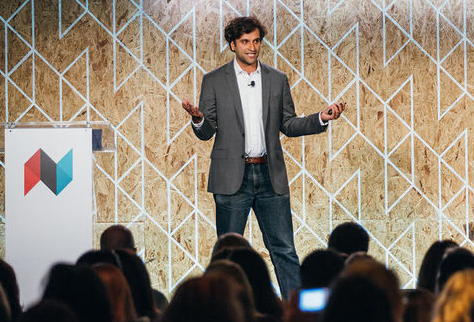 For 35 seconds, the two CEOs locked arms -- each shaking with intensity and effort. Ultimately, Herwald proved to have a little more in the tank, and pounded his cigarette-wielding opponent’s arm into the table. In the event’s aftermath, $10,000 was donated to the Muscular Dystrophy Association, and $5,000 was donated to the Ronald McDonald House of Cleveland. Ultimately, the champion, Stevens Aviation’s Herwald, decided that the two companies could share the “Just Plane Smart” slogan (though both eventually abandoned it after the novelty wore off). The stunt proved to be incredibly lucrative for both parties. Stevens Aviation, previously a peon in its industry, rose to prominence: it experienced a 25% growth over the next four years, during which its revenues rocketed from $28 million to over $100 million. Ultimately, the two companies’ publicity stunt also saved Southwest from spending $500,000 in legal fees and from engaging in a multi-year copyright battle -- one they likely would’ve lost. But Stevens Aviation's CEO was never in it to win it. "A lot of businesses these days are using the courts as a competitive weapon -- and the courts were never intended for that purpose," Herwald told reporters shortly after the arm wrestling match.